The Balalaika and Domra Association of America presents their Russian Festival Concert at Temple Performing Arts Center on Saturday, July 21, 2018 at 7:30pm. 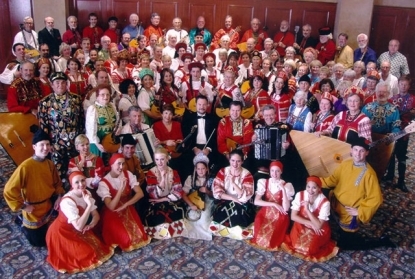 The concert brings together musicians from around the world performing Russian, Eastern European and Gypsy folk music, song and dance, and is the culmination of the BDAA’s 40th annual convention taking place in King of Prussia, PA, July 15-22. The performance will feature virtuoso of the balalaika, Elina Karokhina, and virtuoso of the domra, Peter Omelchenko, performing in duos, ensembles and with an 80-piece Russian folk orchestra conducted by David Cooper.